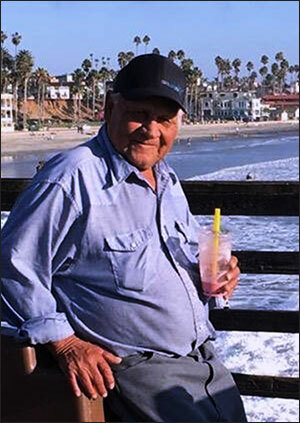 Nicolas Juarez, 81 of Farwell passed away November 1, 2018 in Lubbock. Celebration of Life Services were held Monday, November 5, 2018 at Friona Para Cristo Llamados A Conocerle with Pastor Aurelio Silva, officiating. Burial followed in the Friona Cemetery by HANSARD FAMILY Funeral Home of Friona. Nicolas was born November 2, 1936 in Mexico to Jose and Elisea Torrez Juarez. He later married Ana Cabrera December 31, 1959 in Mexico. He was a truck driver that loved his work. He was a man full of joy helping people in need, actively serving his church and loving his family. His smiles and laughter will be missed by many. Preceding him in death is his parents, wife, 3 sisters and 1 brother. Those to carry on his legacy include: 3 sons- Juan Juarez of Fallbrook, CA., Lupe Juarez of Texico, and Eloy Juarez of Farwell, 4 daughters-Antonia Ramirez of Friona, Victoria Costilla of Fairview Height, IL., Gloria Juarez of Friona and Maria Teresa Tarango of Clovis, 2 brothers-Gregorio Juarez of Ira, Texas, Nazario Juarez of Mexico, 1 sister-Eliberta Juarez of Snyder, Texas, and 26 grandchildren.